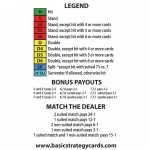 This 3.5 X 2 inch Spanish 21 basic strategy card will fit into any wallet. 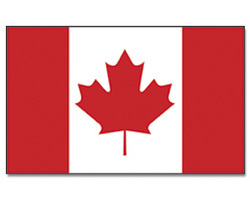 Made out of 14 point plastic it is very durable and with proper care should last a lifetime. 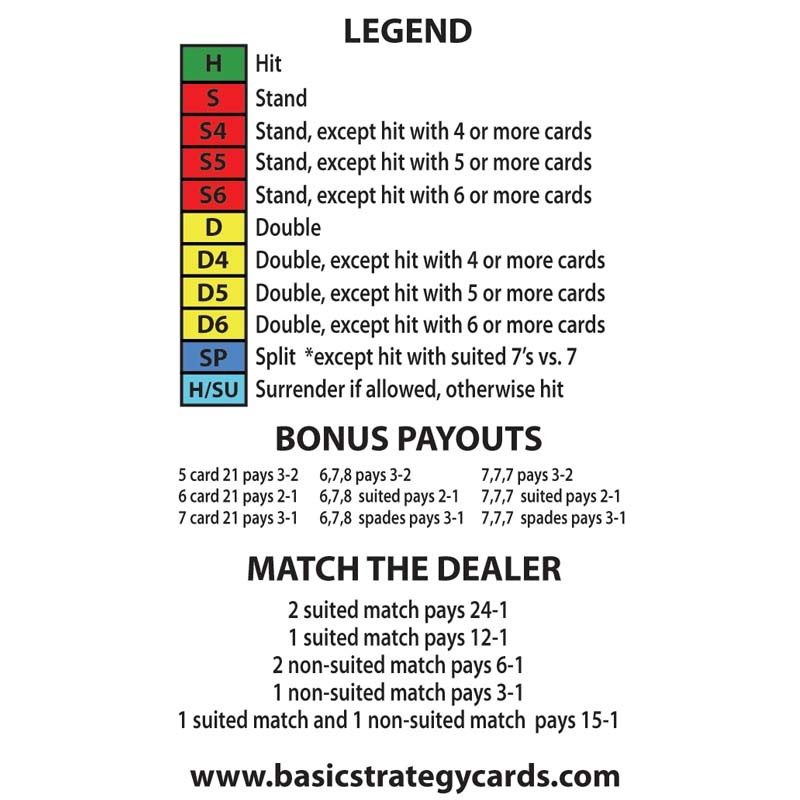 Double sided with the basic strategy chart on the front, and a legend with addition game information on the back. A great card that is durable and easy to read and understand. Very useful. 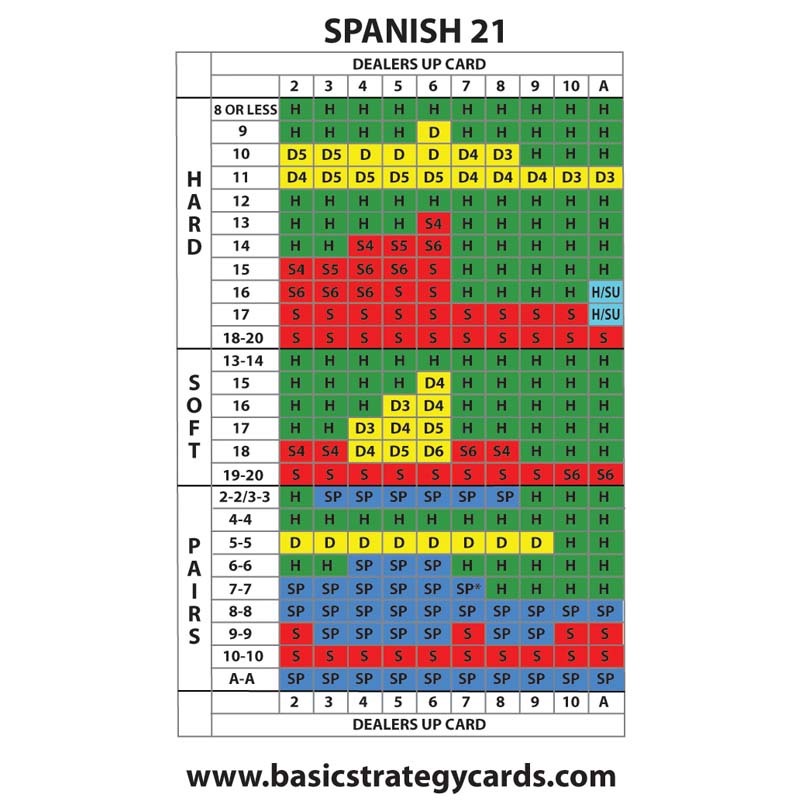 This basic strategy card for Spanish 21 is great! 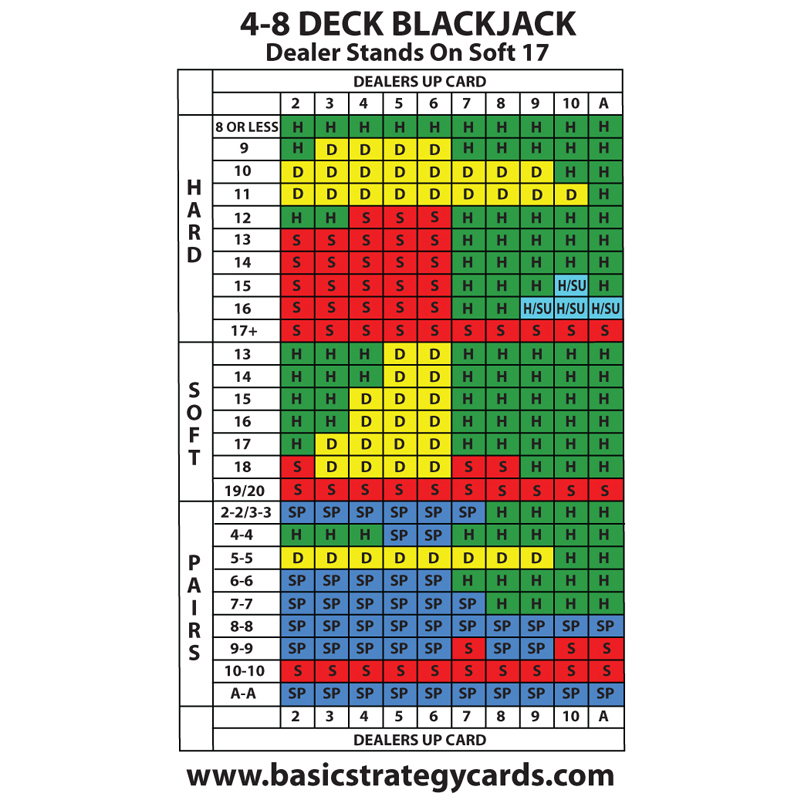 I had always play this game the same way as regular blackjack 21 but now i know I was totally wrong (and giving the casino lots of extra money) Thanks to this card I am a better Spanish 21 player.